This vintage 34mm. 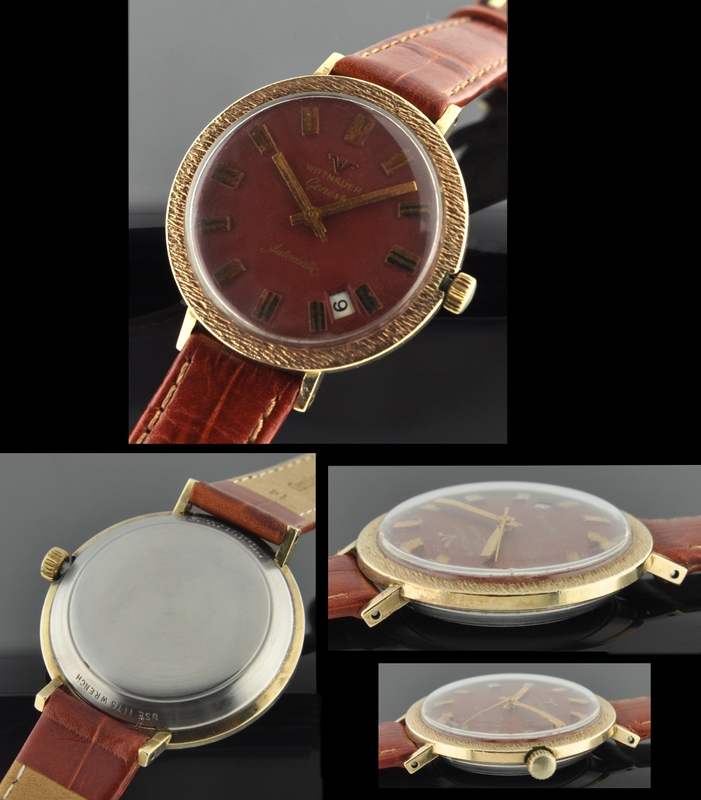 WITTNAUER has an original and exotic OXBLOOD dial with gold gilt print and an accurate running automatic WITTNAUER movement. The gold filled case with steel back has a bark finished bezel to add interest. The original oxblood dial with gold toned markers looks fabulous! This is a men’s watch, that actually takes a narrow 14mm. 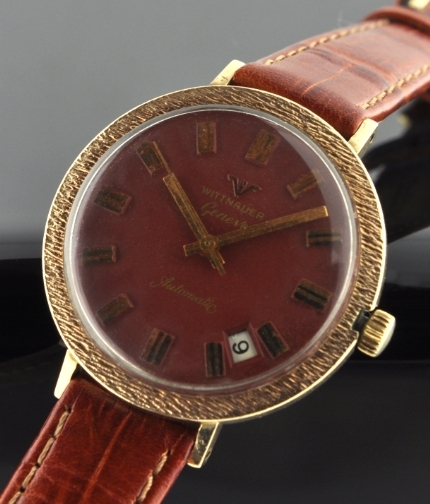 band, but this watch would be ideal for a lady as well. The offset date makes the watch look quite interesting. Only $295.